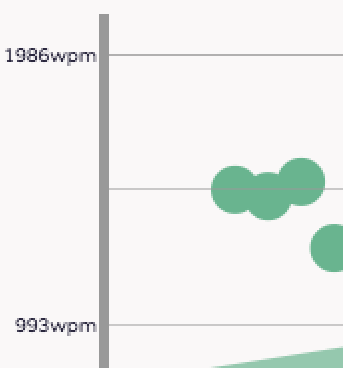 I don't know if I'll ever reach 1000 wpm but I'm pretty happy to be in the 30s now and able to use the Twiddler for work I need to finish in a timely manner. @paul which layout are you using with the Twiddler? My muscle memory still isn't great so I feel like I've got more speed in the tank, so I'm pretty happy with the way it's working out. That's an interesting layout. I see it's heavily optimized for letter input. What makes 2 so special though? And where are d, f, g, p, q, etc? 2 actually isn't special. The numbers 1-9 are mapped to vertically adjacent pairs of buttons, in the arrangement of a telephone keypad, so 2 just happens to show up in that position. I wanted to make the numbers easy so I could use them with shift to get punctuation and wouldn't have to spend chords on it. d is in the corner there. The other letters have 2- and 3-letter chords according to their frequency. I didn't include them because they aren't as easy to diagram. @paul from x = OOLR, I can almost bet that you are using Twiddler in your left hand. Yep, in my left hand. 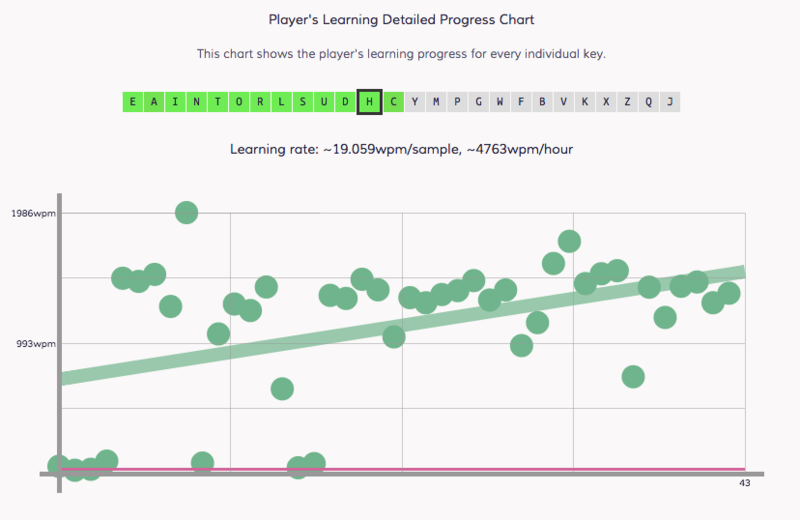 1986 words per minute? Are you just holding down the "i" key? Seriously - video or it didn't happen. There is an upper limit to the speed at which your brain can realistically process words and I'm guessing it's somewhere well below 2000wpm. This is just how multiple character cords work. You press one chord and several letters come out. The second and consecutive letters take no time at all, thus the ridiculous speed. 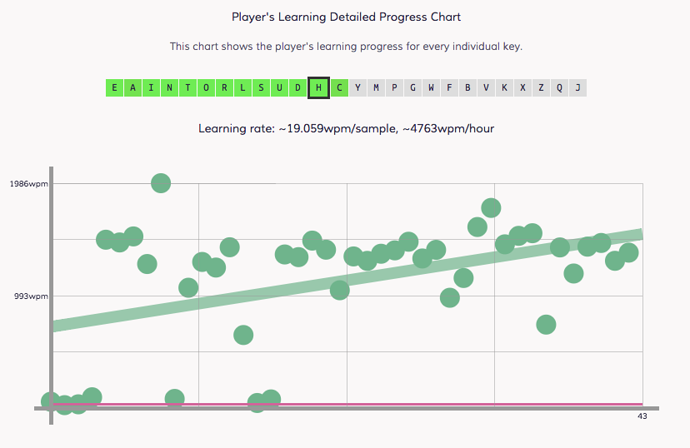 The average speed is 40 - 50 wpm.